First people clicked the "like" buttons on posts for which they have no fond feelings, then they celebrated #followfriday on days other than Friday and now ... well, now these rule-breakers are getting even bolder! They're adding filters to photos and then tagging them #nofilter! We can't have such deviant behavior! 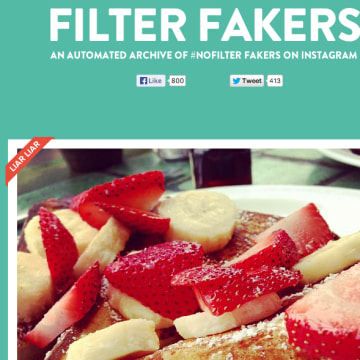 Thankfully, a site called Filter Fakers is calling out those who break the one and only rule associated with the #nofilter tag. On an "About" page, the site's creators Per Stenius and Oskar Sundberg explain that their site "automatically highlights" users it notices are cheating, and even lists the Instagram filters they've applied to their images. The site also offers a "Faker Catcher" tool through which you can submit users you think are falsely using the #nofilter tag. There's an important detail to note: "We can only catch people using Intagram’s built-in filters, so if you still want to cheat, use Camera+ or similar apps," Filter Fakers' makers write. 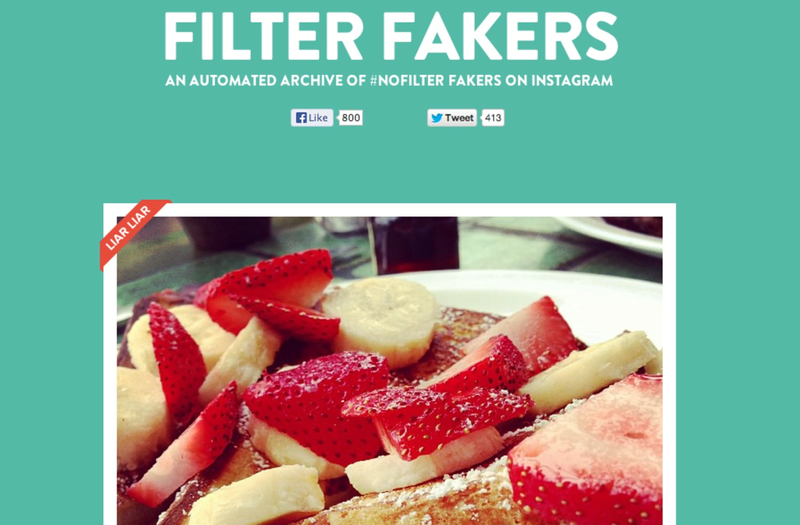 This is reasonable, as Filter Fakers relies on the predictable tweaks of Instagram filters in its detailed scans. Ah, well. At least that'll bag the biggest #nofilter offenders — or at least the laziest ones.